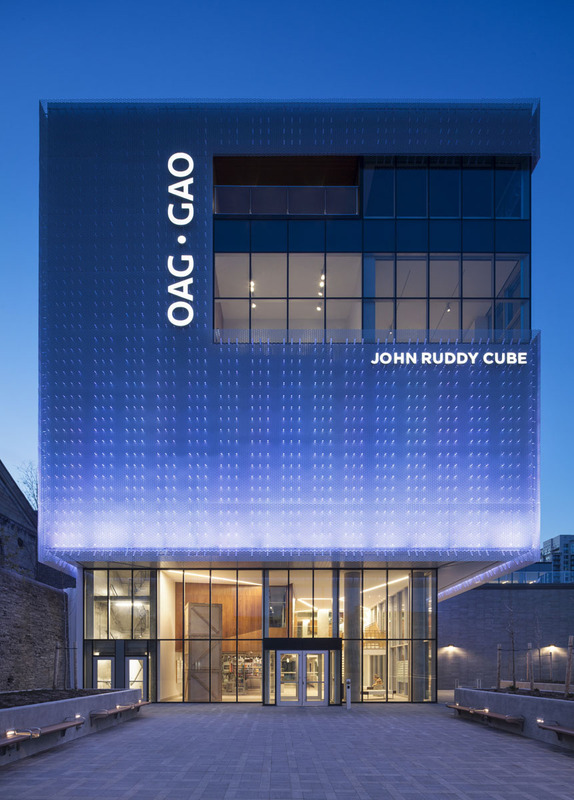 The primary facade of the Gallery is an expanded metal mesh suspended in front of an inexpensive metal siding. 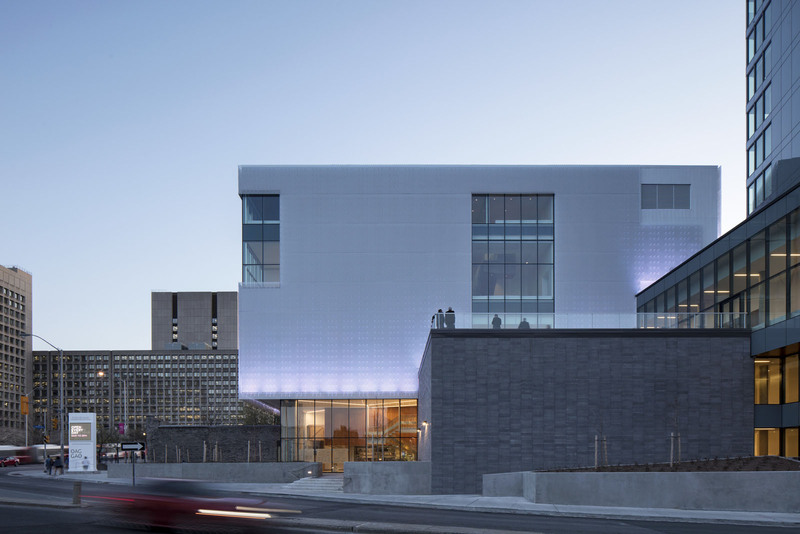 KPMB conceptualized it as a levitating box acting as a beacon for the city, and the volume contains the art galleries and administration space. 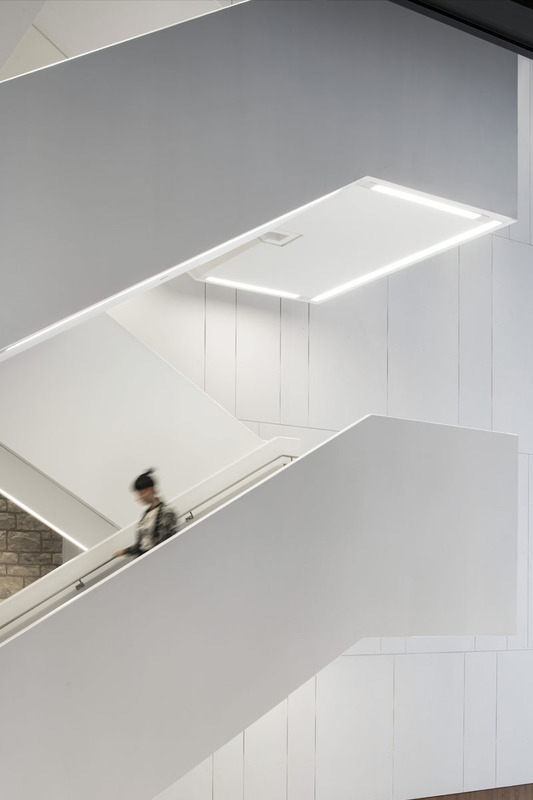 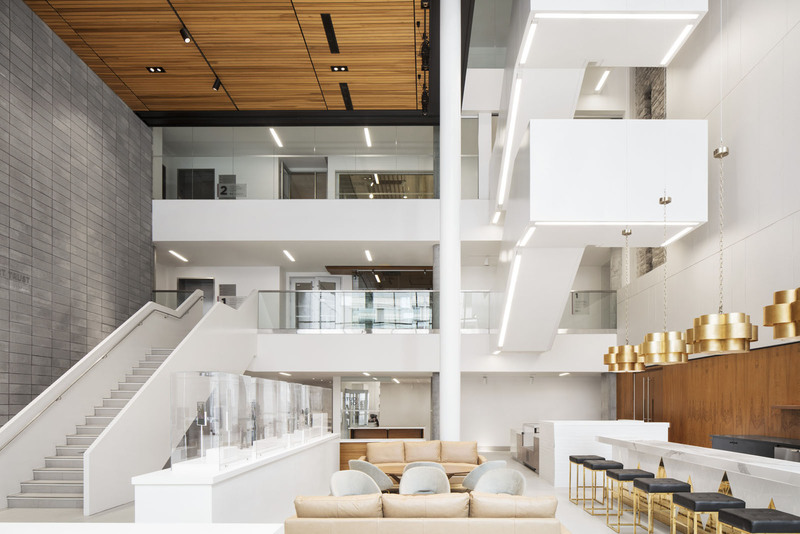 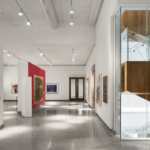 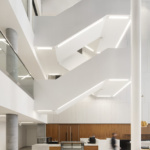 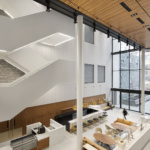 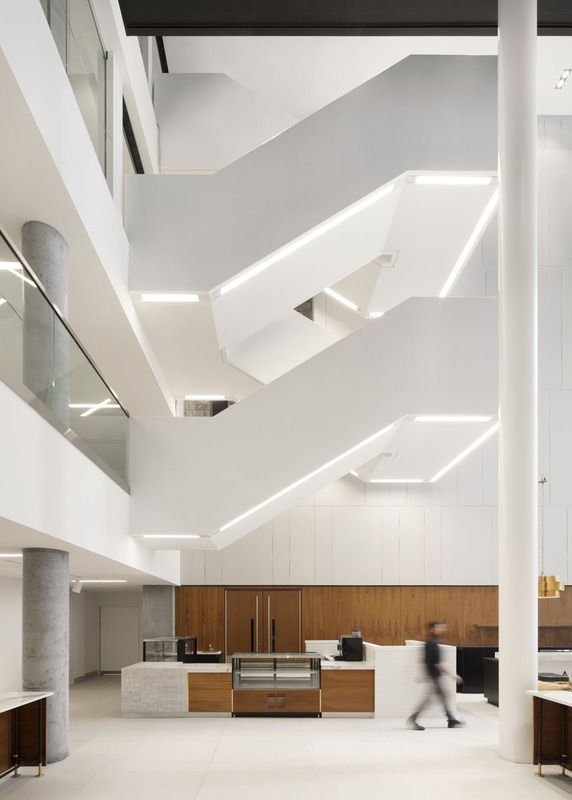 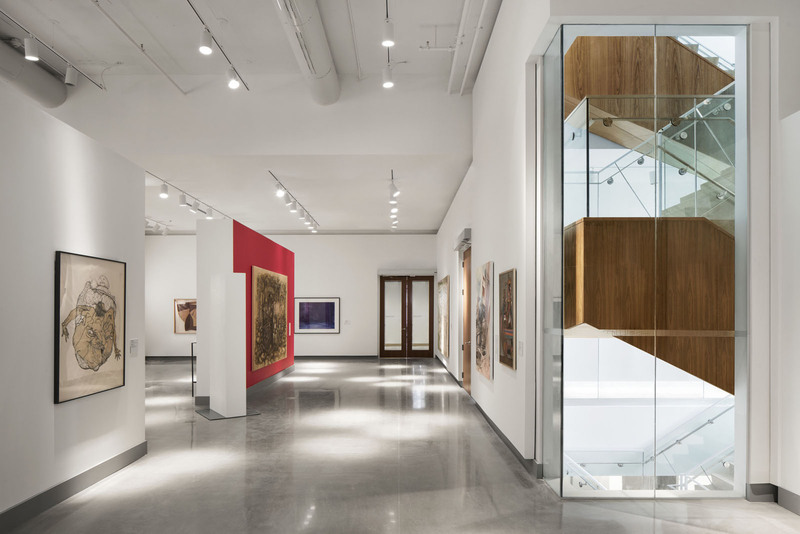 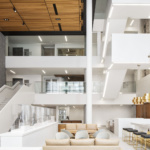 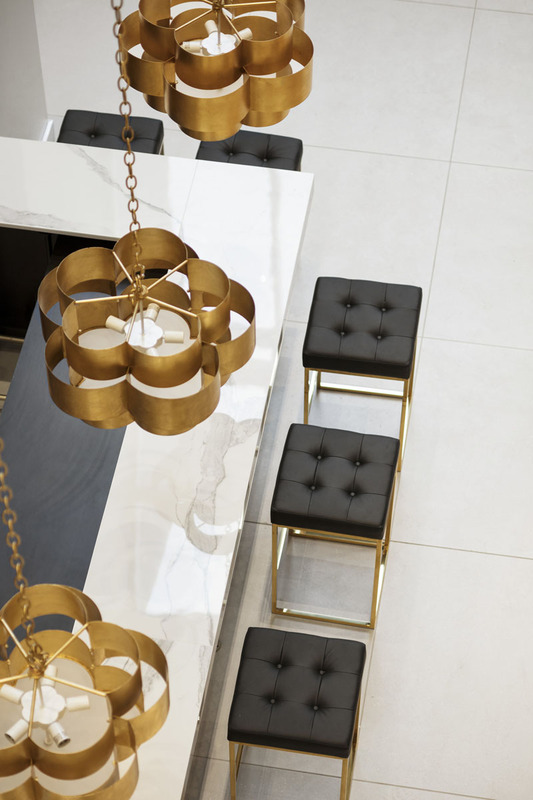 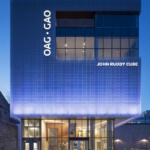 Because the galleries require indirect natural light, the design includes strategically placed windows for controlled daylight into special galleries and for clear orientation in the central staircase. 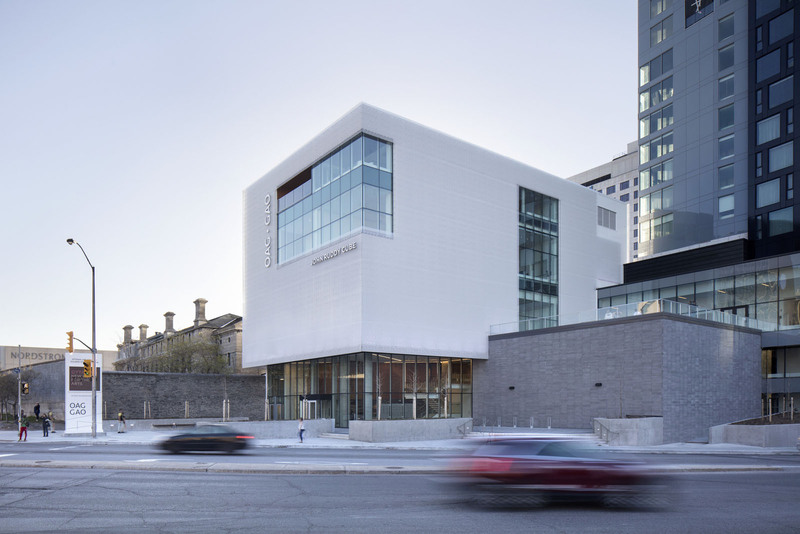 KPMB began the design with a custom perforated mesh in mind but, due to cost restrictions, they were forced to investigate other options, including back-painted glass and perforated metal fins. 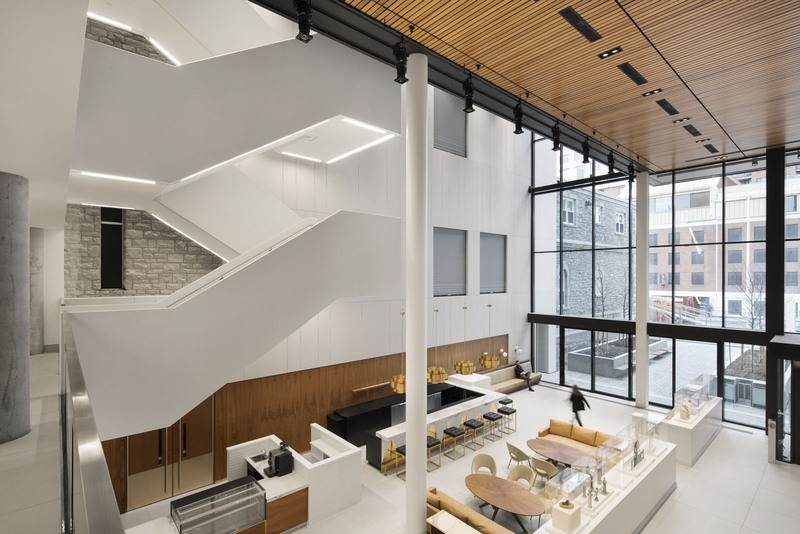 Ultimately, the project team arrived at the expanded metal mesh because it was the simplest way to maintain the original design intent while still being cost effective. 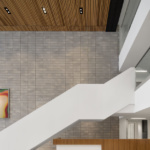 The mesh panel slides in front of the edges of the window openings and below the bottom edge of the cladding at the soffit. 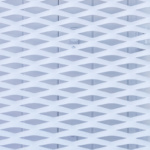 This creates an effect where the mesh dissolves into the sky as it extends beyond the solid box behind. 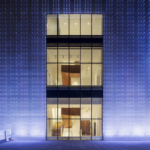 Where the mesh abuts other materials on the facade, it cuts short to create a reveal. 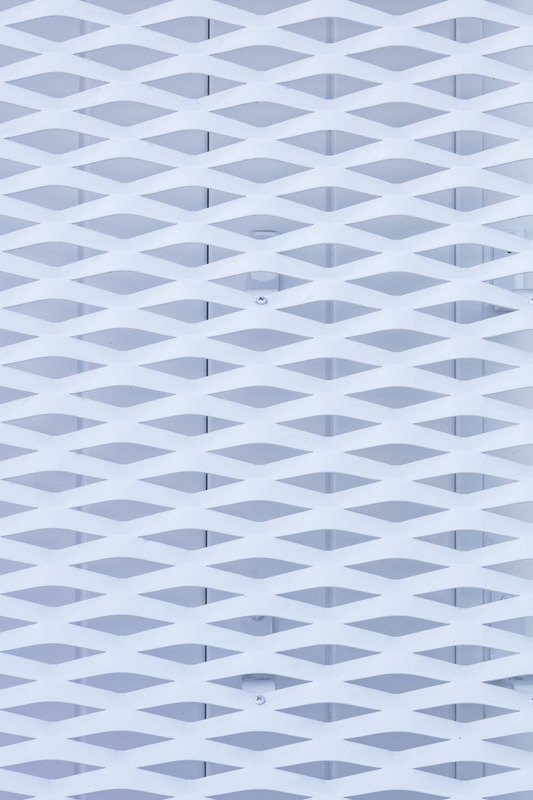 The project team faced a different challenge when detailing the stand-off clips for the metal mesh. 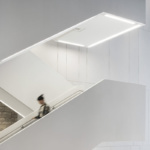 The clips coordinate with wall-washing LEDs to make the light as uniform as possible and are organized in columns of three, with exceptions at the corners of the building and at the perimeter of the apertures. 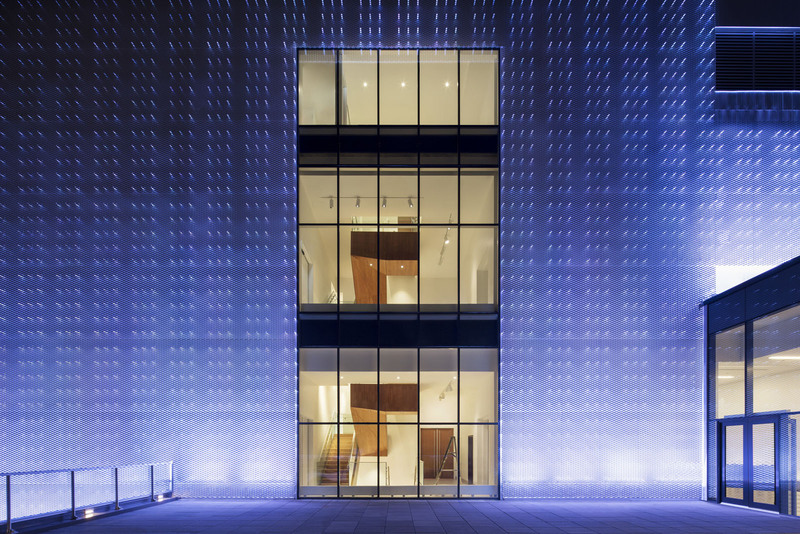 At night, the metal clips reflect the light of the LEDs to create a grid of points that dissolve as the building rises in elevation. 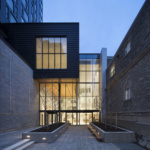 The black box theatre and the multi-purpose room intersect with the art gallery’s space and use contrasting materials. 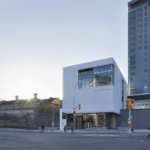 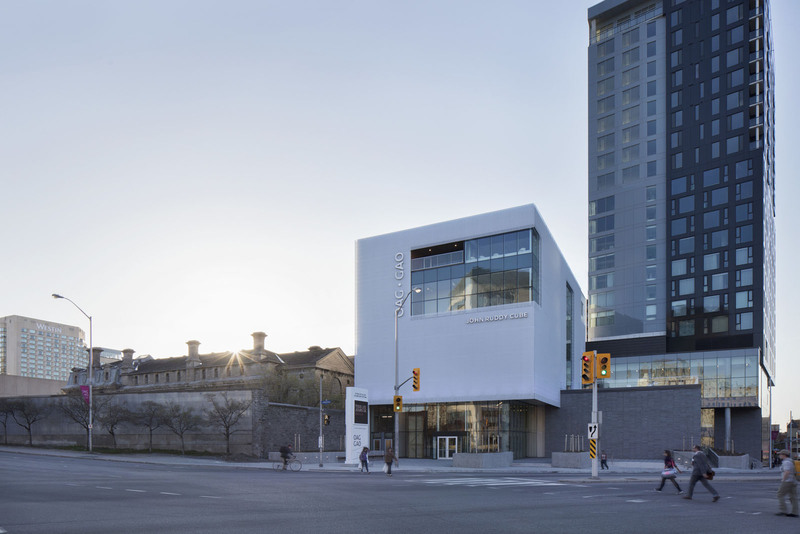 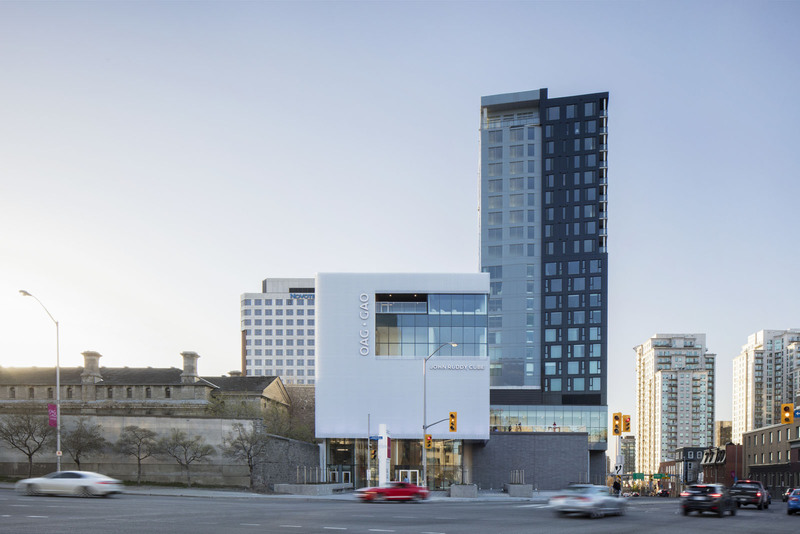 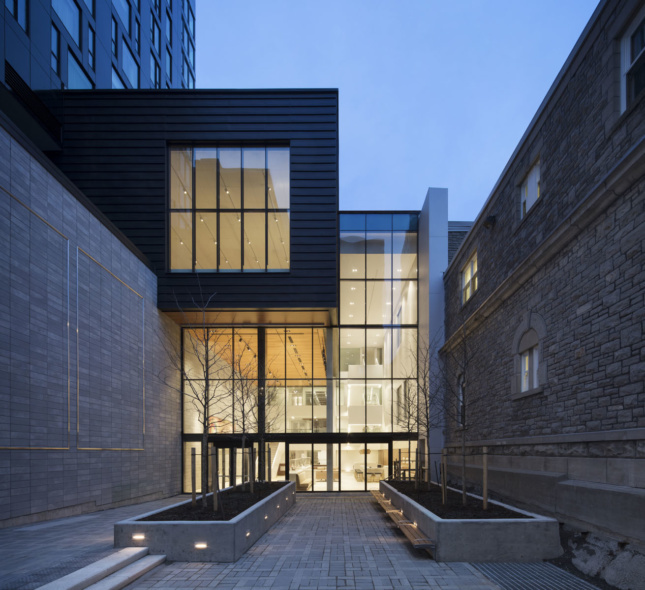 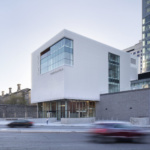 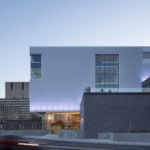 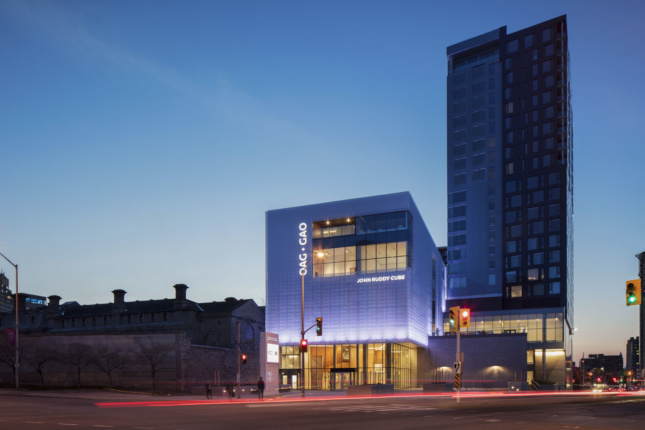 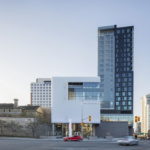 The theatre volume, which houses the University of Ottawa’s drama program, is clad in a charcoal-colored block that references the neighboring historic stone walls. 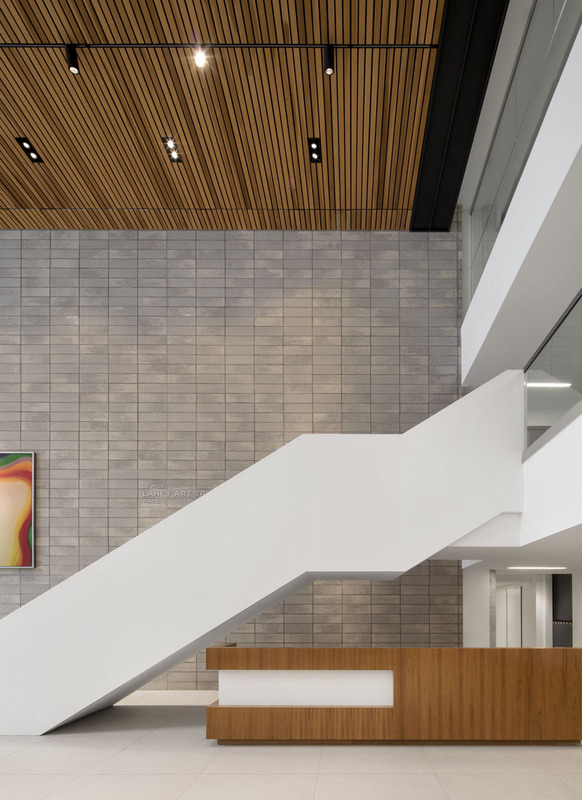 On the north side of the new complex, above the entry court and atrium, the multi-purpose room is clad in anthracite-colored zinc.